Khmer Perception of the Vietnamese in Brâlai Meas Commune before the Khmer Rouge Regime (Case Study). By Keo Duong, Kdei Karuna, Jonior Researcher, Khmer and Khmer Version. 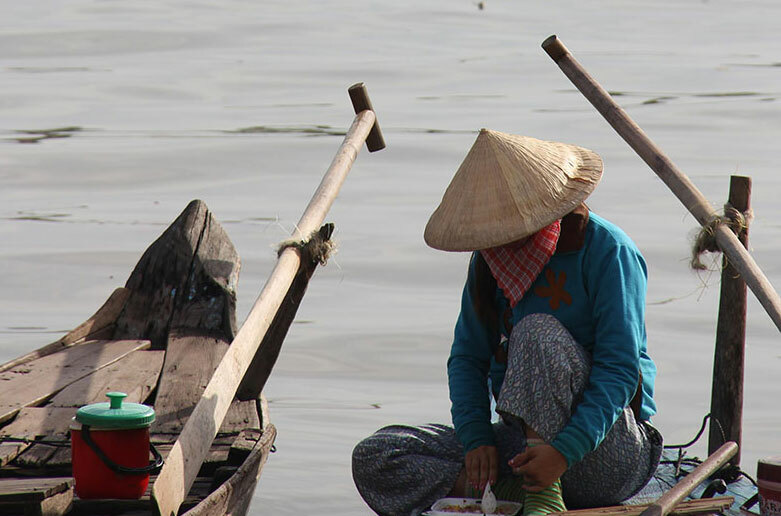 Vietnamese people had lived along the Tonlé Sap River for decades before they were expelled from Cambodia during the 1970s. The majority of them were born in Cambodia. Located along the river approximately 20 km north of Kampong Chhnang Town, Bralai Meas commune was one of the few communes in Cambodia before the Khmer Rouge regime where hundreds of Vietnamese families lived in the same villages with Khmer people. This case study aims at examining the relations between Khmer and Vietnamese villagers in Bralai Meas commune by looking at their socio-cultural and economic activities from a Khmer perspective. 24 Khmer respondents who had lived in the commune during the late French protectorate, Sihanouk regime and Lon Nol regime were interviewed about their lives and experiences living with the Vietnamese communities.